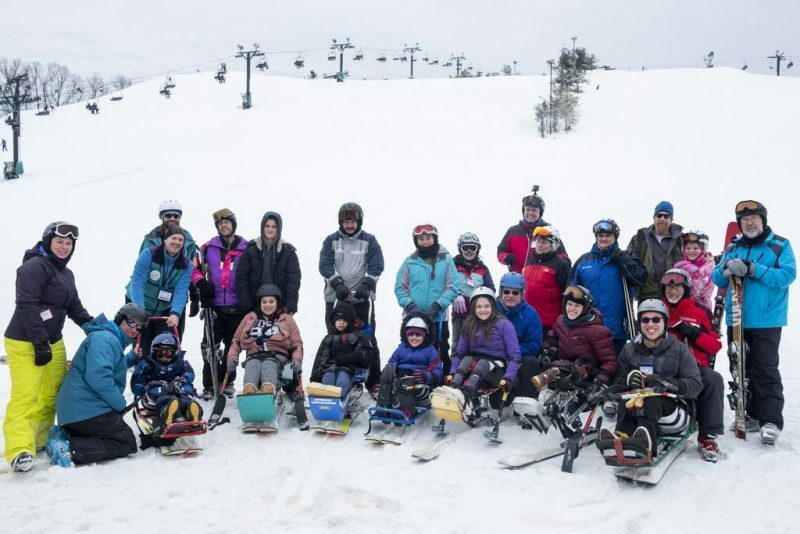 A day of skiing designed to empower patients with conditions like cerebral palsy and spina bifida was a huge success! 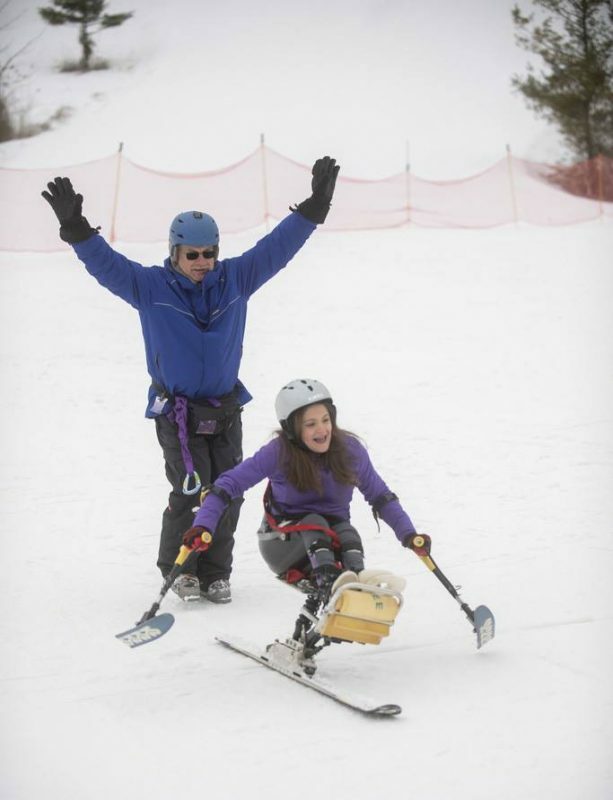 Meet the 5 children who bravely tackled Adaptive Ski Day with the help of 3 Trackers of Ohio. Patients left to right, front row are Jordan Pollock, Paige Mangum, Logan Keith, Hannah Jabbour and Ahsha DiPietro. Dr. Najarian is at front right. 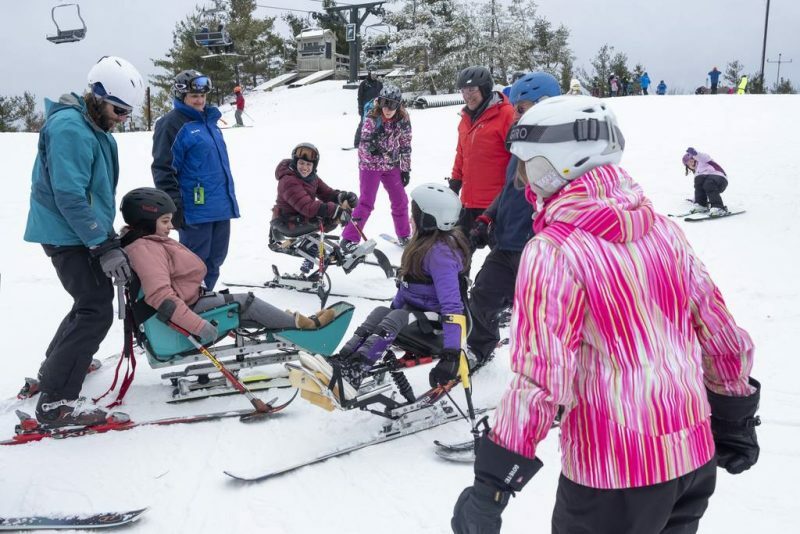 The term Three Trackers comes from the impression or tracks that a skier with adapted equipment leaves in the snow (one ski and two outriggers). We think she’ll definitely be back for more. 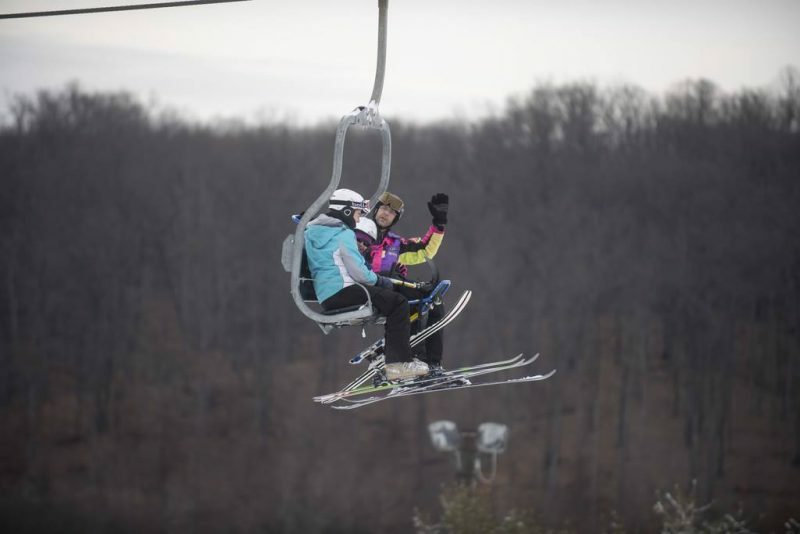 The ride on the chairlift is just as fun as the trip down the hill. 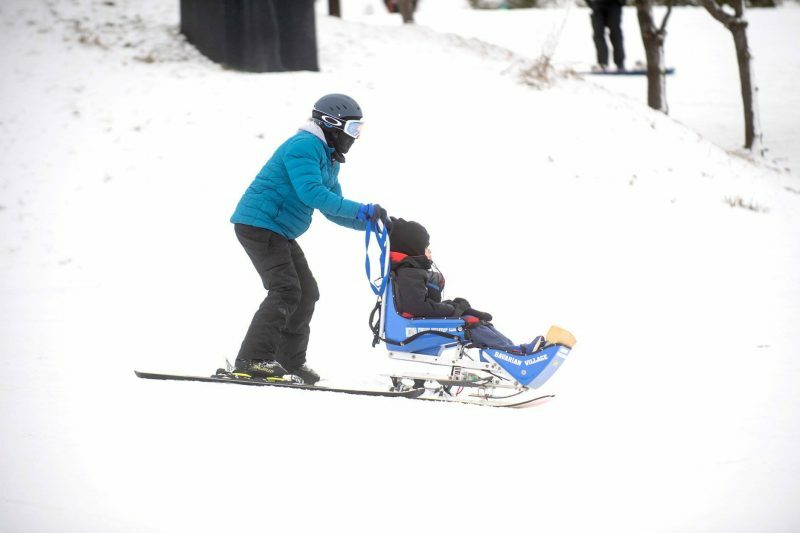 Two experienced skiers safely secured each child to the chair for a quick ride up. 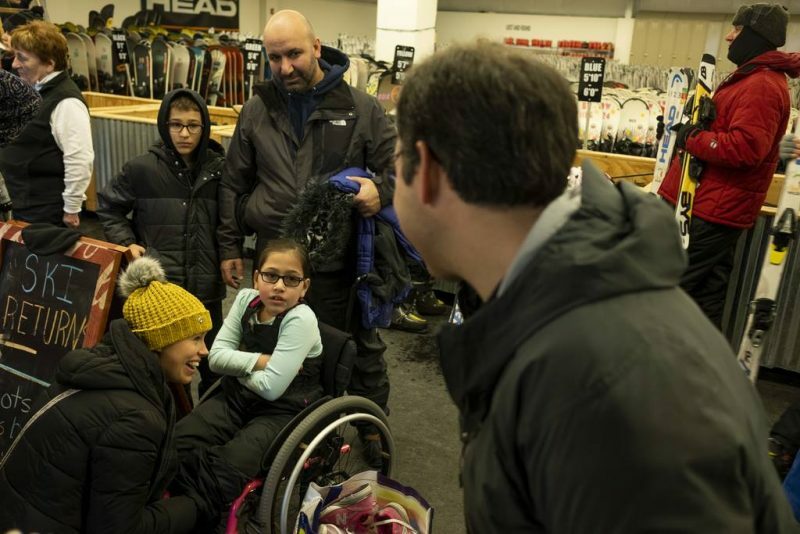 Spina bifida patient Hannah Jabbour, 8, Uniontown, is not new to winter adaptive sports, as she has played sled hockey. She loved the snow just as much as the ice. 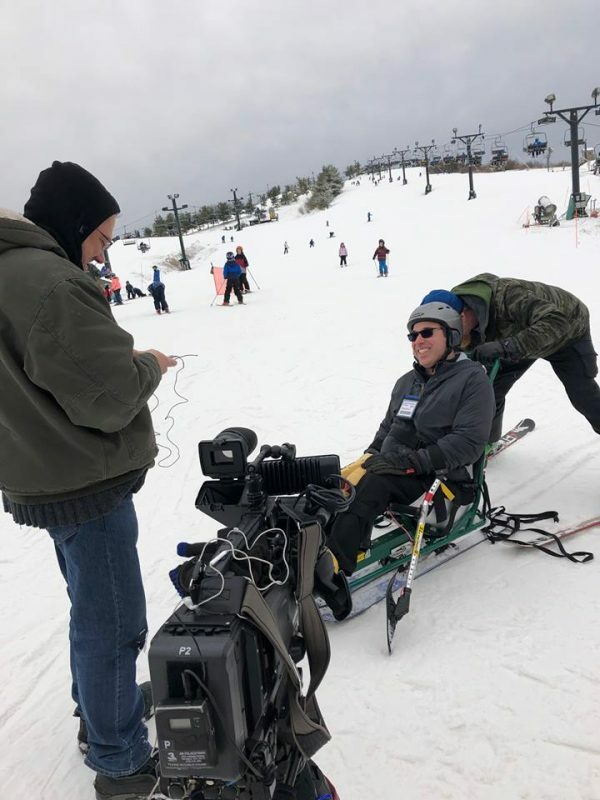 Dr. Raffi Najarian, director of the Spasticity Clinic, has been adaptive skiing for more than 10 years. Dr. Raffi Najarian, director of the Spasticity Clinic, told WKYC Channel 3 – Cleveland, “I was once a kid with cerebral palsy. I started the event because I wanted our patients to be able to get out and do something fun, to be able to participate in a sport maybe they never thought they could do. I don’t think there’s been a kid that’s come out to ski that hasn’t loved it, so to see all their smiles and excitement is what makes it great for me. 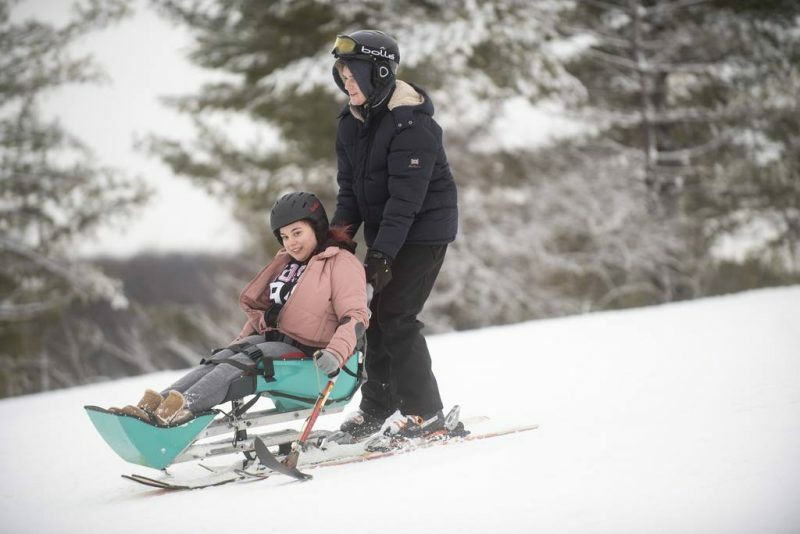 As a rehabilitation doctor, I’m always looking for kids to participate in activities they might enjoy, because too often the perception is that with disabilities, you can’t get out and do what the other kids are doing, but that’s not really how it has to be. 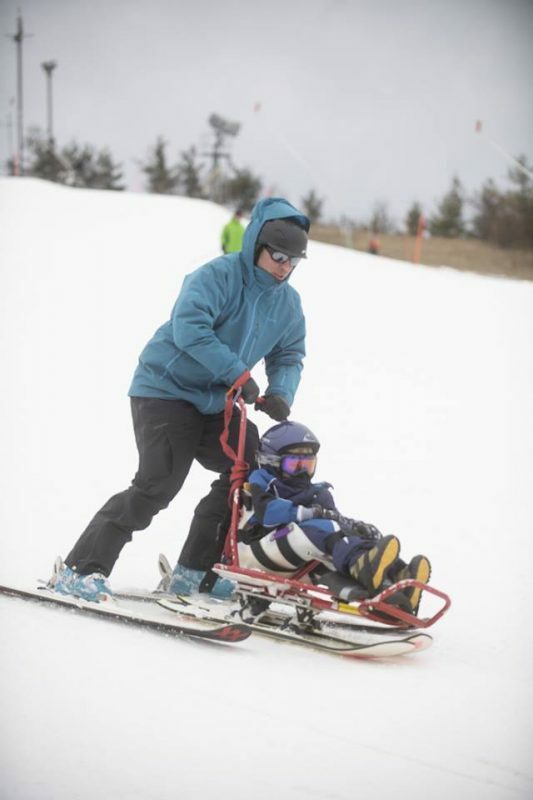 It was the second time Jordan Pollock, 7, of Seville, participated in Adaptive Ski Day. 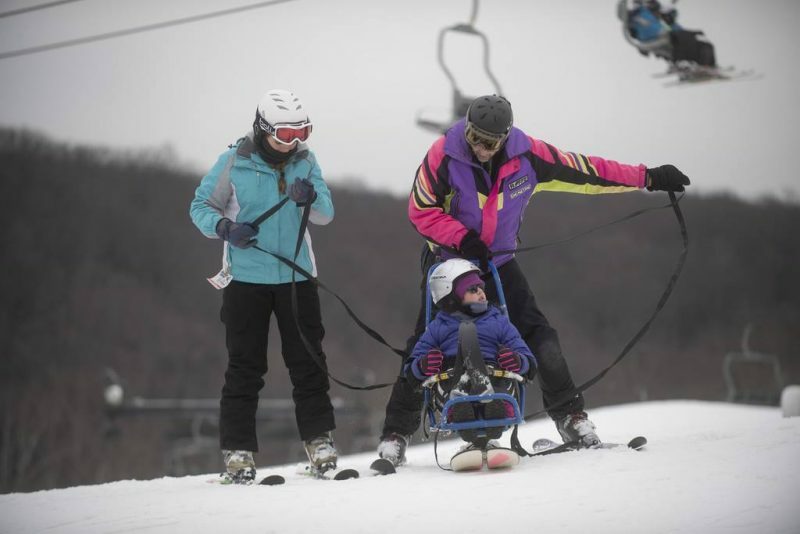 Parents Randy and Megs says it’s hard to get him geared up to get in the ski chair but then he loves it and it’s hard to get him out! Jordan has spina bifida and has had at least 8 surgeries. Read about their journey on our blog. A few new friendships were formed during their 2 hours together on the slopes. Paige Mangum, 17, of Goodyear Heights in Akron, was excited to try a new sport. She had no hesitations to trade walking canes for a set with skis. 8-year-old Logan Keith of Akron continues to amaze his doctors (in 7 medical specialties) and family with his miraculous recovery from a devastating brain injury when he was just 2 years old. 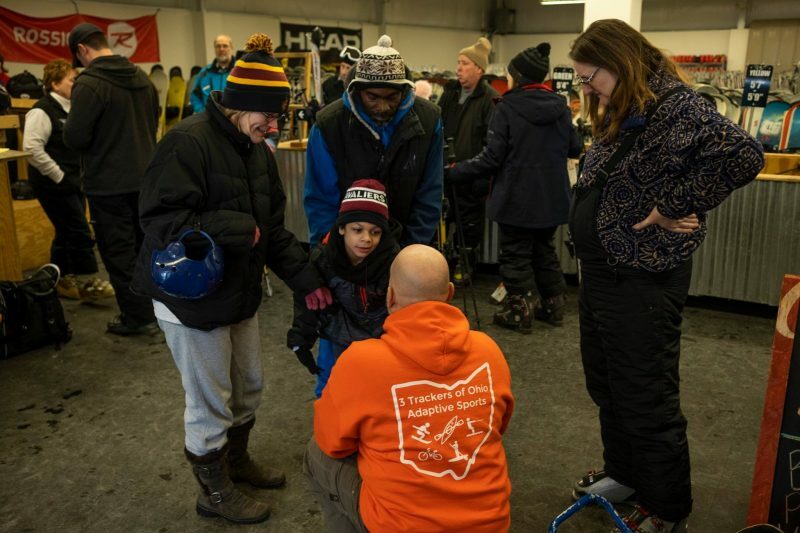 He was no different with 3 Trackers of Ohio volunteers on the ski slope. Logan giggled with anticipation as Tony Zacharewski from 3 Trackers of Ohio got him setup in the perfect equipment. Dr. Najarian (at right) talks with Hannah Jabbour and her family, of Uniontown, in the lodge at Brandywine.